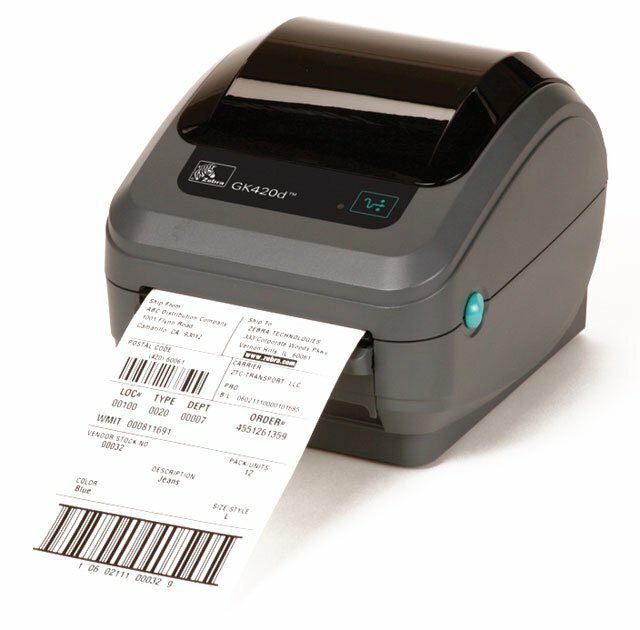 Well-suited to retail, health care and manufacturing industries, the extra compact Zebra GK420d direct thermal printer is the perfect fit wherever you need a low-priced, space-saving printer for receipts, coupons, labels or tags. Along with fast print speeds of up to 5 ips, the GK420d offers USB/serial connectivity and a 10/100 Ethernet option. Direct Thermal printing, 203 dpi, 4" Print Width, USB and Ethernet Interfaces. Includes US power cord and 6' USB cable. Direct thermal printing, 203 dpi, 4" Print width, Serial, Parallel, and USB Interfaces. Includes European power cord and 6' USB cable. Direct thermal printing, 203 dpi, 4" Print width, Serial, Parallel, and USB Interfaces, and US Power cord. Cables sold separately. This is the TAA compliant version for government purchasers. Please Call for more information. 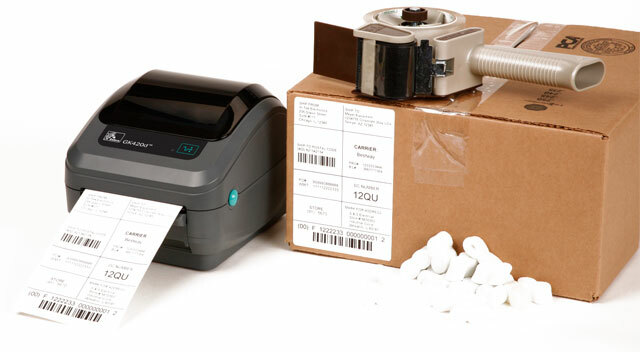 Direct thermal printing, 203 dpi, 4" Print width, Ethernet and USB Interfaces, Dispenser. Includes European/UK power cord and 6' USB cable. Direct thermal printing, 203 dpi, 4" Print width, USB and Ethernet Interfaces, and US Power cord. Cables sold separately. This is the TAA compliant version for government purchasers. Please Call for more information. 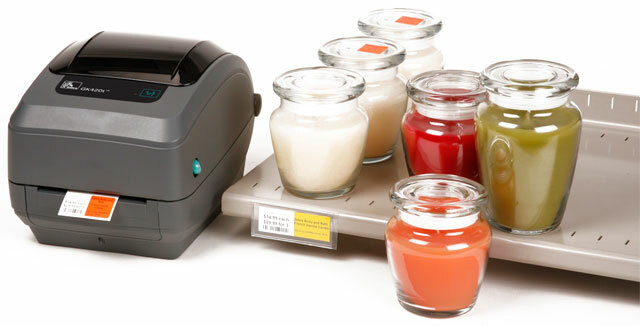 Direct Thermal printing, 203 dpi, 4" Print Width, Serial, Parallel, and USB Interfaces, Dispenser, and US Power Cord. Cables sold separately. Direct Thermal printing, 203 dpi, 4" Print Width, USB and Ethernet Interfaces, Dispenser, and US Power Cord. Cables sold separately. Direct thermal printing, 203 dpi, 4" Print width, USB and Ethernet Interfaces, and US Power cord. Cables sold separately. Direct thermal printing, 203 dpi, 4" Print width, Serial and USB Interfaces, Dispenser, and US Power cord. Cables sold separately. Direct thermal printing, 203 dpi, 4" Print width, Serial and USB Interfaces, and US Power cord. Cables sold separately. 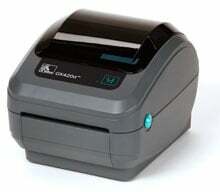 Direct thermal printing, 203 dpi, 4" Print width, Serial, Parallel, and USB Interfaces, Dispenser. Includes Japanese power cord and 6' USB cable. Direct thermal printing, 203 dpi, 4" Print width, Serial, Parallel, and USB Interfaces. Includes Australian power cord and 6' USB cable. Direct thermal printing, USB/Ethernet interfaces, 203 dpi. Includes Chinese power cord and 6'' USB cable. We use these Zebra printers all the time, all day long for our inventory tags. We have never had an issue with Zebra. With this model or any of the other models I have used over the years. The Best! I use this printer to make bar codes for payment remittances. Since I just bought it, I have not used it too much just yet, but I have found that it is not difficult to use. We use this product to create labels to ship out material. This is a great printer and the added network capability is a real plus! This printer is phenomenal, especially for the low price. We currently have more than 10 of these in our business operations and rarely encounter any problems with them. They can handle high-volume and multiple label sizes with minimal reconfiguration. We use these printers in all of our locations due to the fact they last so long.